Keystone Fermentation Supply is proud to partner with the Romualdi Cooperage in Forli, Italy for all our large format wood vessels. A 4th generation cooper, Master Cooper Enrico Romualdi crafts each new foeder or cask by hand in the traditional coopering method of Italy. Wood for each vessel is carefully selected from a wood mill that his family has been using for generations. After sorting, the wood is then aged outdoors for a minimum of 60 months, where is it lovingly tended during it's aging process. Each stave for your vessel is milled a minimum of 55mm thick, with head staves on casks being milled even thicker, with a minimum of 65mm. Thicker staves are essential for the structural integrity and longevity of your vessel, which is why Romualdi vessels are well known among vineyards all across Italy. 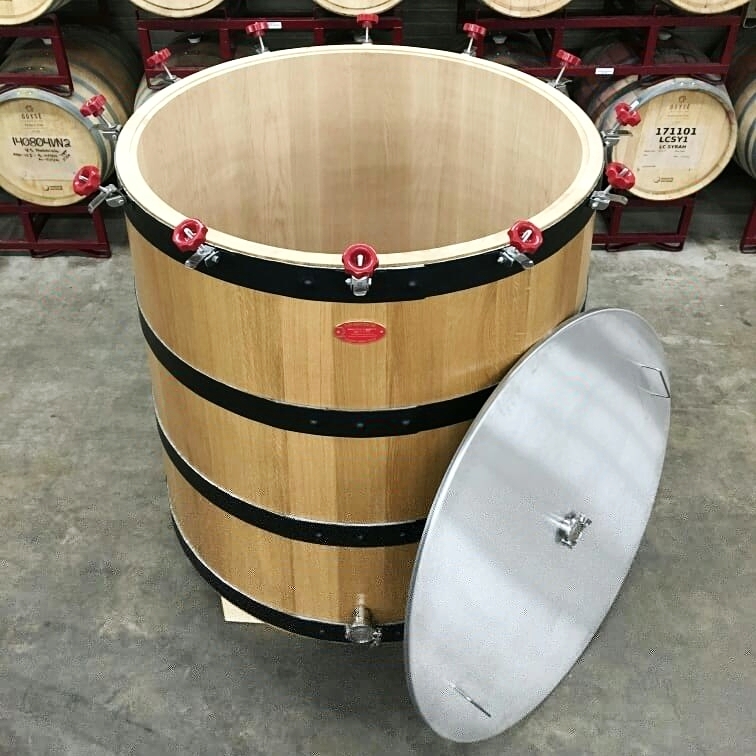 Following generations' of teaching, Master Cooper Romualdi then builds each foeder or cask to suit, including all stainless steel accessories and custom wood stillage. With proper care and use, your new vessel will last for a lifetime's worth of drinking! Open top fermenters (also known as Convertible Foeders) are the new workhouse in your brewery or winery. 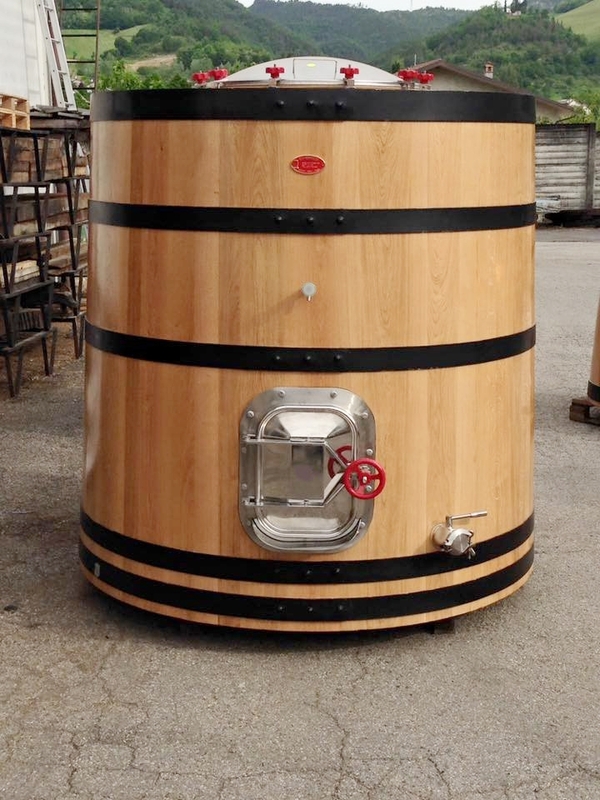 Available in Slavonian Oak, Chesnut, Ash, French Oak, Acacia , Cherry, or "Zebra" [alternating Chestnut & Ash], these fermenters are a wonderful addition to a solera brew house or wild yeast fermentory. SS lids are available to transform your from an open top fermenter to a closed conditioning or holding tank. Please note that Staineless Steel Tops are only available up to 30BBL. New Casks are available in a variety of sizes, from 6HL (5BBL) up to 55HL (47BBL). Wood choices include: Slavonian Oak, Chesnut, Ash, French Oak, Acacia or Cherry. 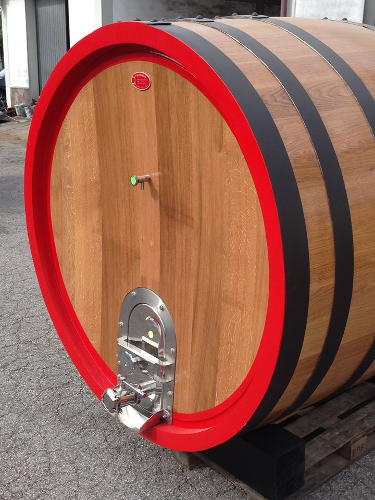 All new casks come with: Stainless Steel Front Manway w/ 2" TC Port, Sample Tap & custom wood stillage. Additional accessories available.